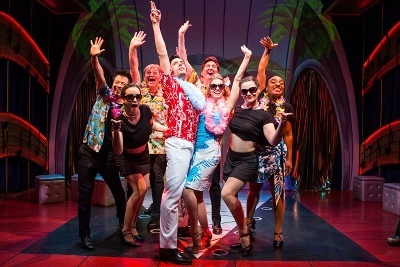 If you’re an Elvis Presley fan, or you loved the 1992 movie “Honeymoon in Vegas” with its Elvis impersonators — the Flying Elvises, Utah Chapter, this is an off-Broadway show you don’t want to miss. And you only have one more week to get caught in the Elvis-Drac Frenzie frenzy. 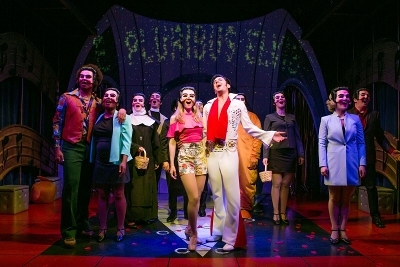 The campy musical comedy “Attack of the Elvis Impersonators” at The Lion Theatre at Theatre Row is about to bid Elvis a fond goodbye. 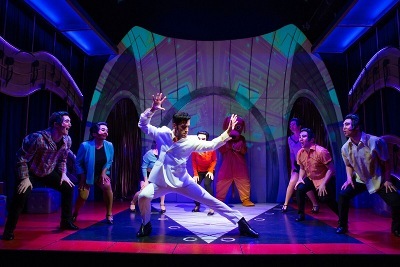 The musical, which opened in June, features a crazy cast of swooning fangirls, a supervillain, a social media star, religious rockers, and a fearless leader, Elvis Presley (aka Drac Frenzie). This entry was posted on Sunday, July 23rd, 2017 at 11:32 pm	and is filed under Stuff to Do. You can follow any responses to this entry through the RSS 2.0 feed. You can leave a response, or trackback from your own site.